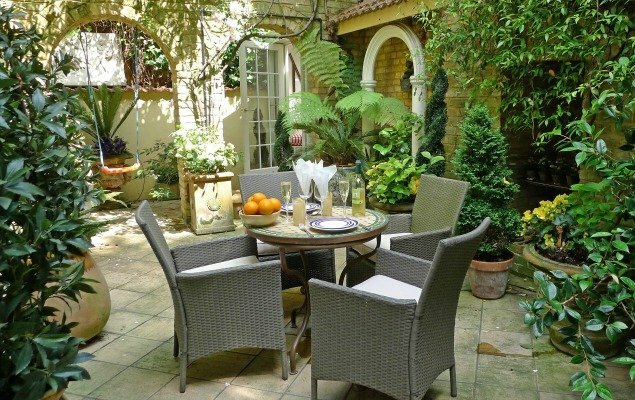 What better way to enjoy the sunshine this summer in London than in your own private garden? 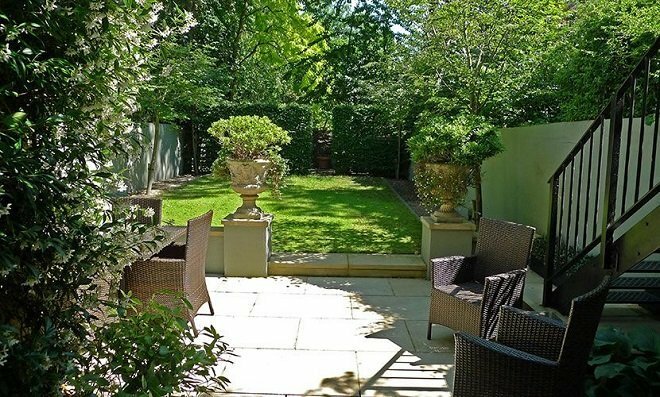 It’s extremely rare to have your own outdoor space in London, which is why our properties with beautiful gardens are some of the most exclusive to make your stay even more special. 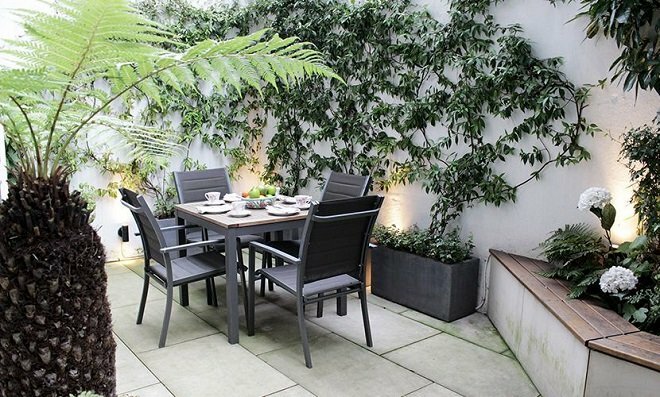 Our gardens and terraces provide privacy, space and the time you need to unwind while enjoying your London stay. Here’s all you need to know on some of those beautiful outdoor spaces, made even more perfect during the summer months! The Cornwall apartment is a stylish 1 bedroom rental in the much sought-after Kensington area of central London. You are only a short stroll from some of the best shopping in the city, as well as the world-famous Kensington Gardens! This unique apartment benefits from a gorgeous Italian-style garden which is a most tranquil setting in which to relax and unwind during your stay. After a busy day of sightseeing, you can spend time relaxing in this wonderful outdoor space, and dine alfresco in the warm, summer months. You will also be pleased to know that this particular apartment was even featured on The Fine Living Channel as their top pick for London – a fine seal of approval for this truly stunning apartment. 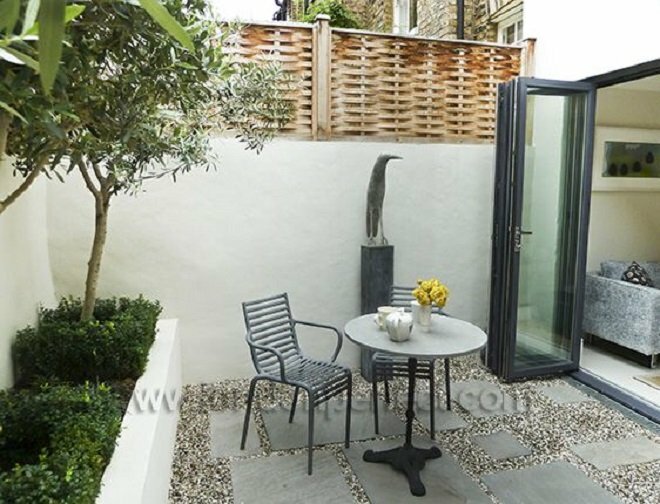 At the Portland, a very special 1 bedroom apartment in the heart of Chelsea, you will find the most delightful private patio. This gorgeous area is surrounded by greenery so it feels even more private and secluded. This space can be used throughout the day as an extension of the main apartment as it is perfect for that leisurely breakfast, a delightful long lunch, or even an alfresco dinner that stretches out over the entire evening. This garden can be accessed from both the bedroom and also the living room. It’s such a great space that we hope you can make the most of it over your stay. You will also reap the benefits of a truly wonderful location, as you are nearby to the world-famous shopping of King’s Road and Sloane Square in Chelsea. If you are a fan of the theater, you can take in a production at the prestigious Royal Court – also withing walking distance of the apartment. The Christchurch is a spacious and truly stunning duplex that is perfectly located in the desirable area of Chelsea. This fabulous location is conveniently situated close to the famous King’s Road, as well as the glamorous area of Sloane Square. If you choose this duplex for your stay, you will arrive home via its glorious tree-lined street, surely enough reason to entice you to choose this apartment, but it also benefits from a truly wonderful private patio. 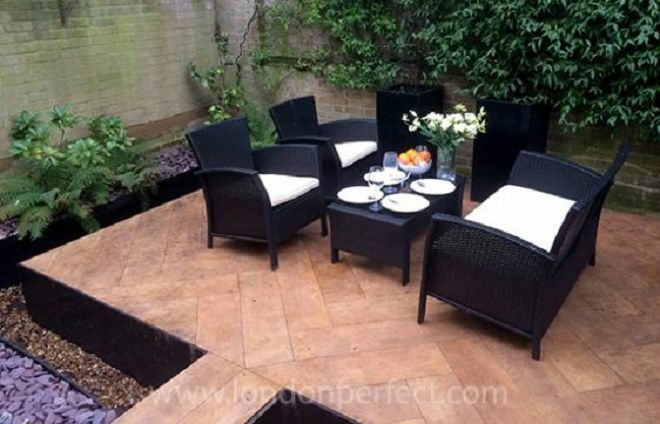 This particular space is great for entertaining as it is beautifully designed, with plants and even potted palm trees. It also has a table and chairs to seat four people. At night, it benefits from outside lighting creating that perfect ambiance for a late night dinner or drinks. The Chatham is a wonderful home away from home located very close to the highly sought-after area of Holland Park. This vacation home is on two levels, providing a spacious and luxurious stay. Guests will benefit from a fabulous private garden which can be accessed from the balcony via an external staircase, as well as from the master bedroom on the ground floor. This garden is truly exceptional as it not only has an area for the table and chairs which is a perfect place to enjoy a family dinner, but it also benefits from a grassy area which is the perfect spot to throw down a blanket and enjoy a picnic in the sunshine. The Hamilton is a beautiful 1 bedroom apartment located in the highly desirable enclave of Chelsea. 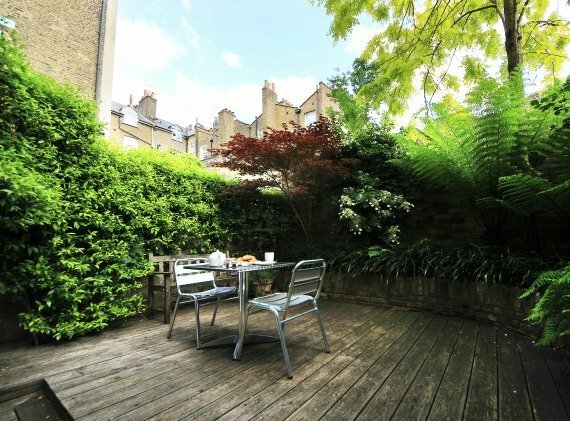 This vacation rental also benefits from a lovely little private garden – something which is very unique to this part of London. 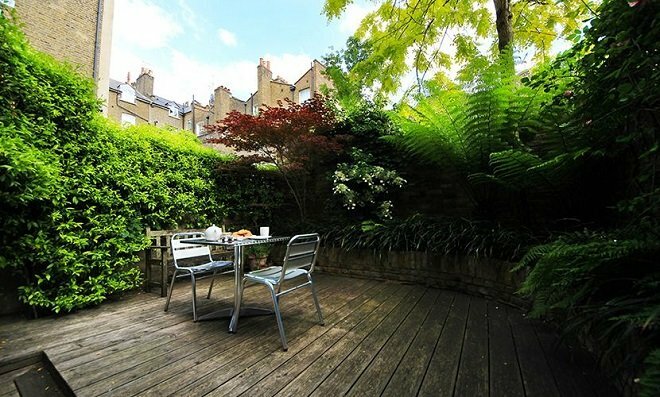 This larger than average garden, with a raised sitting area, is one of the key features of the apartment. The outdoor dining space would be perfect for morning tea or a delightful summer gathering with friends. 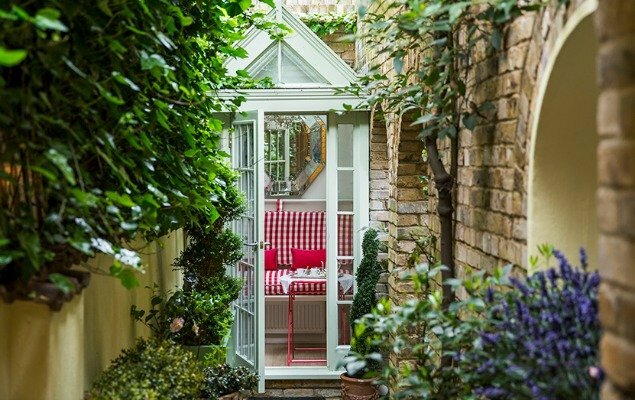 You can access the garden from both the living room and the bedroom, and in these balmy summer months, you definitely want to make the most of this garden. The Austen is a stylish vacation apartment in the stunning area of Kensington. It’s such a great choice for a family holiday, particularly as it has entry to a wonderful communal, private outdoor space. This beautifully kept garden is filled with flowers in the summer, and has benches dotted around, so ideal for that lazy afternoon in the sun if you want to catch up on your latest holiday read. This quiet garden is the perfect size too for a larger family and friends gathering, particularly if you are thinking of having a picnic. You are also conveniently located in an area full of the best shops and restaurants, so the perfect place to drop by and pick up a few delicacies before making a delicious lunch for friends and family. The Spencer is a remarkable 4-level home just a short stroll away from Kensington Gardens and some of the finest shopping in the city, notably the most famous store of all, Harrods! This unique home away from home also benefits from a private outdoor space. This lovely area has a table and chairs for six people. 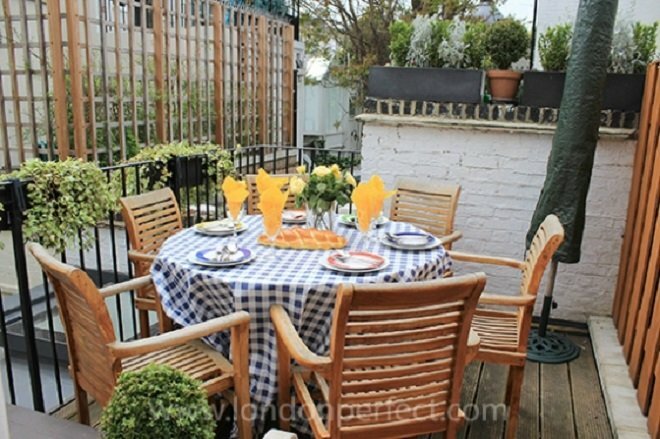 This terrace is perfect in the morning to enjoy coffee and breakfast, and ideal for a fun gathering of friends. 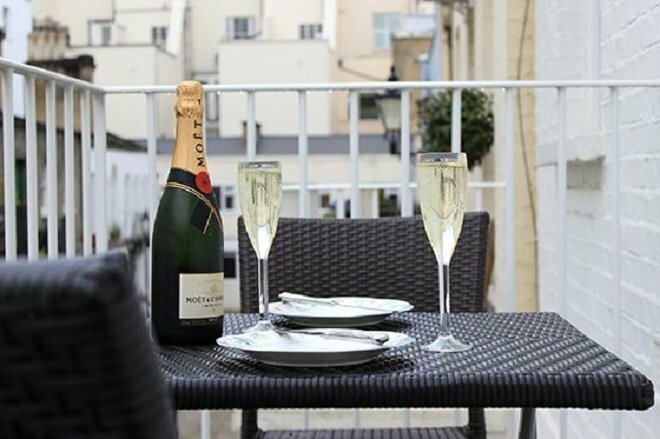 As this wonderful home is only a short stroll away from some of the best shopping in the capital, you can return home to your apartment knowing that you can enjoy a drink on your own private terrace! The Rockingham is a 2 bedroom, two-storey mews home where you will enjoy staying not only in a great property but also in a part of London’s great history! 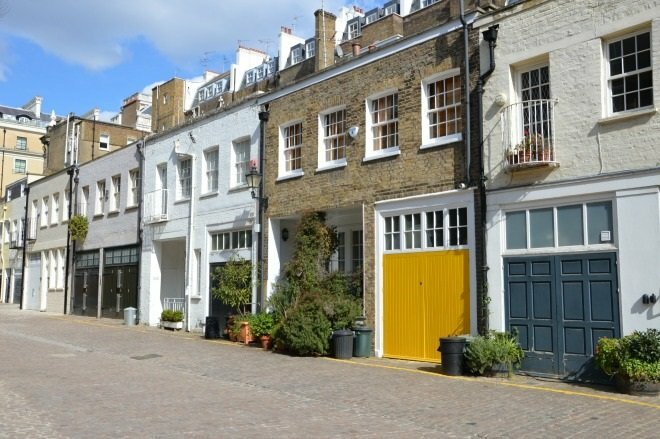 This historic property has been remodelled with all the modern conveniences, yet is located on a traditional cobbled mews in the prestigious Kensington zip code. You are located close to some of the most famous destinations in London, including Kensington Gardens, The Natural History Museum and The Victoria and Albert Museum. This delightful property also boasts its own balcony which looks out onto the cobbled street below. The balcony is equipped with a bistro table for two, so it really is the perfect spot to relax and unwind after a busy day of sightseeing! The Walton is a stunning two-bedroom property located in the highly desirable area of South Kensington, close to the famous designer boutiques and restaurants of Sloane Avenue. One of the stand out features of the property is the private courtyard garden, which can be accessed via the dining area. One of the main features of the garden is the striking modern sculpture, which complements the sophisticated look of this space. The courtyard garden also has a delightful bistro table and chairs, perfectly for relaxing at any time of the day, particularly if you have had a busy day around town. 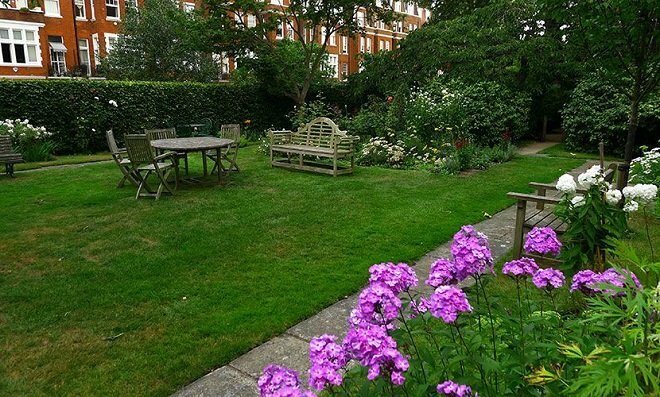 This garden is so well designed you may just find it is the most popular area to spend time in during your stay in London! Posted on Wednesday, August 5th, 2015 at 8:22 am in Apartment Rentals. You can follow any responses to this entry through the RSS 2.0 feed. You can leave a response, or trackback from your own site.